on any page of your website in a simple, easy-to-read card layout. Stand out in a crowded market by providing additional value to your audience with strategically-chosen news articles and blog posts that complement your original content. Add custom calls-to-action to link curated and original content and drive traffic back to your site in a more targeted way. 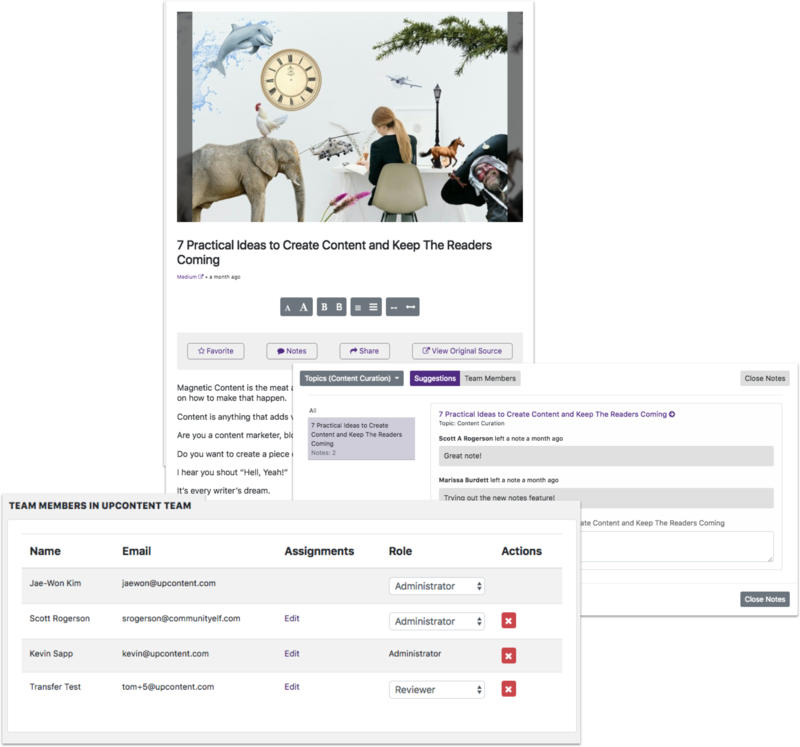 Easily sort, read, and favorite the most relevant articles to automatically send to your Gallery–all in one simple interface. while your audience enjoys a cohesive brand experience. 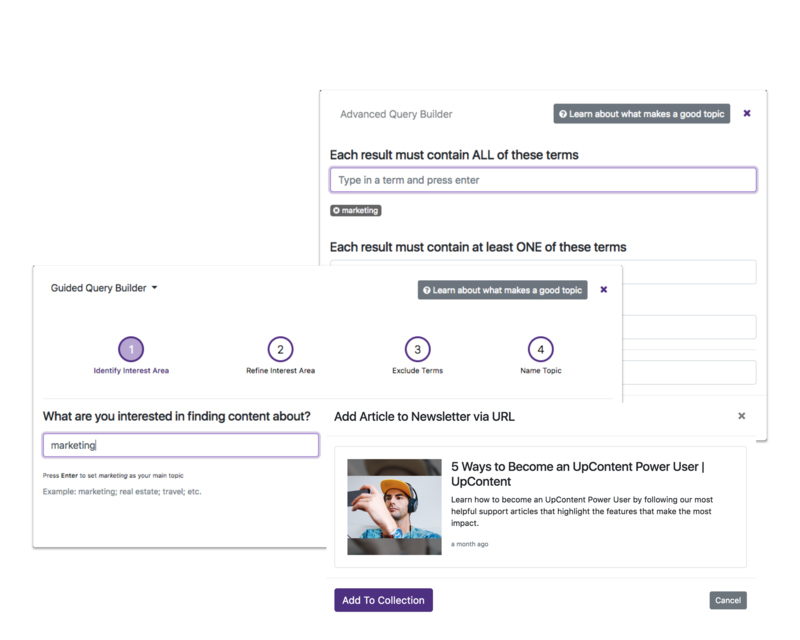 Create a topic with our Query Builder to discover the most relevant and engaging content in your industry. Add content you come across on the web to create your unique blend of content ready to be shared. Sort your content suggestions with unique filters, read full-text articles, add notes, and favorite any article or blog post for later review. Assign permissions to teammates based on their role, including reviewer access for client or supervisor approval. 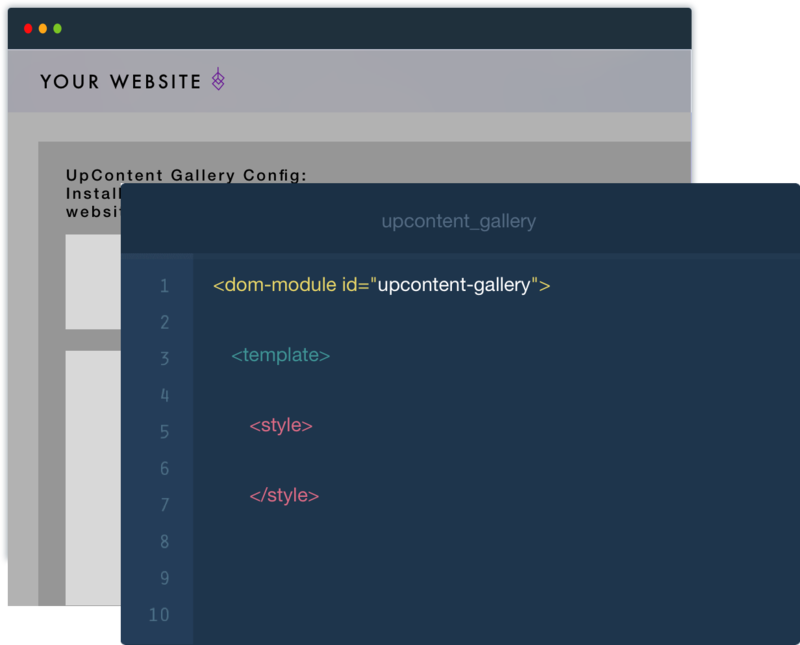 Copy and paste your UpContent Gallery code into your website’s backend. No developer experience necessary. Lead your website visitors to the best next step in the buyer’s journey with the easy CTA generator. Keep your content organized with a simple folder structure, so every project and client has a dedicated space for easy management. Collections makes internal approval processes even more streamlined. 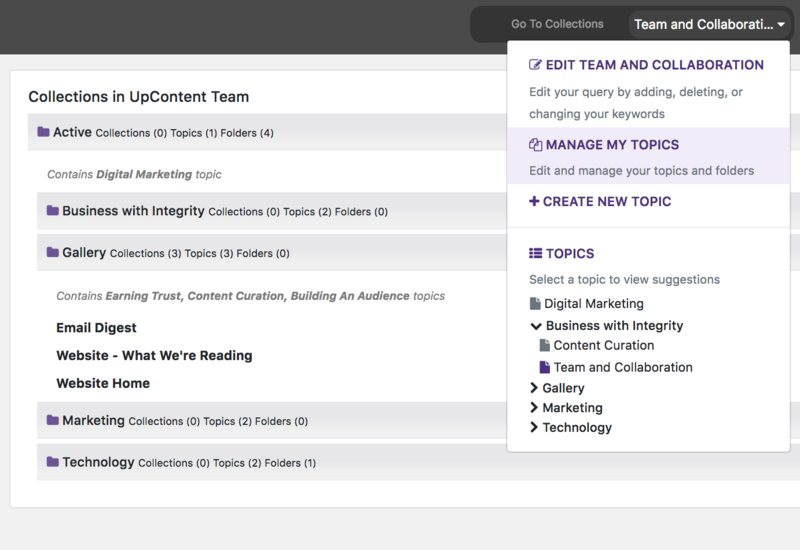 Learn more about how the UpContent can help your site become a resource for curated insights. Why would I want to send traffic to someone else’s site? Curating helpful, relevant resources demonstrates your commitment to your audience’s needs and interests. Not only does providing a consistent well of information through your unique hub position you as a trusted, go-to expert, but it also aligns your brand with other well-respected publications and influencers. Further, UpContent provides the opportunity to overlay a customized call-to-action on each article that is curated for your website - providing a direct opportunity for conversion as well as powering any custom remarketing audiences you may use for digital advertising. Won't this get me 'flagged' for Duplicate content? No. UpContent takes extreme care to honor the rights of all content publishers. 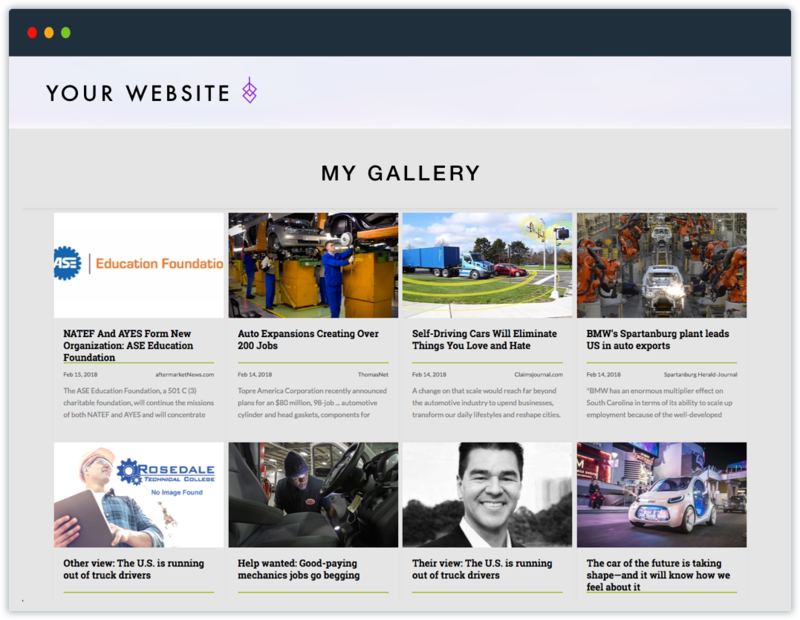 For this reason, our curation solution for websites only provides summary information on each of the curated articles and links out to the original post. This avoids any concerns over 'duplicate content' from both an SEO and rights management perspective. How does the Gallery affect Search Engine Optimization (SEO)? Can I customize the Gallery to match my brand and style? Absolutely! You can tailor the color palette and typography to match your brand aesthetic and choose how you would like the Gallery to be displayed on your website. Will the Gallery work with my website?